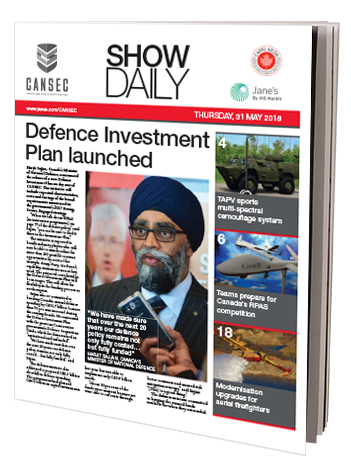 Written, produced and distributed onsite by a world class editorial team, the CANSEC Show Daily are published in print and online forms for each day of CANSEC. Each Show Daily features the latest news, product reviews, leading interviews and key announcements live from CANSEC 2019. Scroll down to view this year's CANSEC Show Dailies produced by Jane's. Increase traffic to your booth by branding your location on the CANSEC floor plan. Make it easier for prospects and customers to find you by featuring your logo on the site map pointing to your stand location. The CANSEC floor plan will be distributed at key areas of the exhibition as an integrated part of the Show Dailies, bound-in centre spread as well as separately. 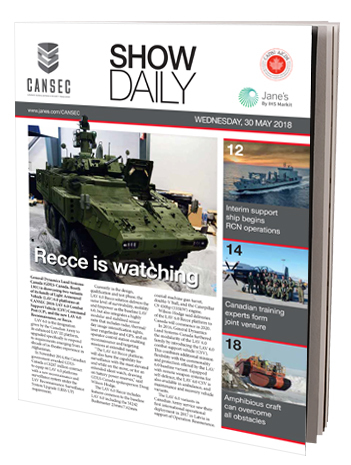 Send your press releases to Jane’s to have the latest news about your company and its products or services from CANSEC published in one of the Show Dailies at no additional cost. Please note that the use of press releases is subject to number of submissions and is at the discretion of Jane’s editorial team.